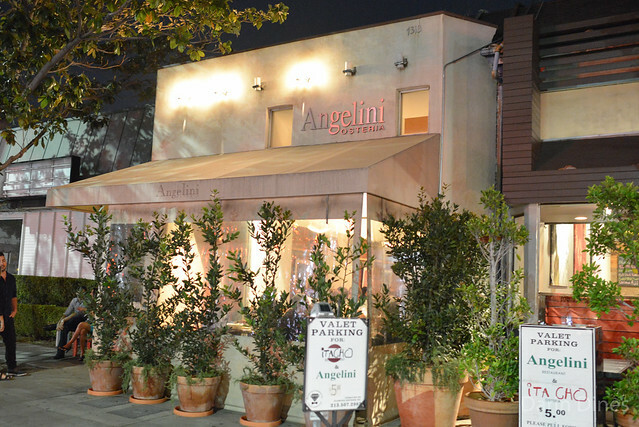 Gino Angelini has been cooking his popular Italian fare in this small spot on Beverly for almost 15 years now. It’s been a crowd favorite ever since opening and certainly was a full house on this Friday evening. It’s hard to pinpoint why it took me three and a half years to return here since my first visit in 2012. I think part of it is due to the restaurant’s lack of OpenTable accessibility (it’s a real thing!) and part of it is due to the emergence of Bestia downtown. Whatever the reasons, I really enjoyed the meal (especially the pastas) during that first visit so a return trip was way overdue. 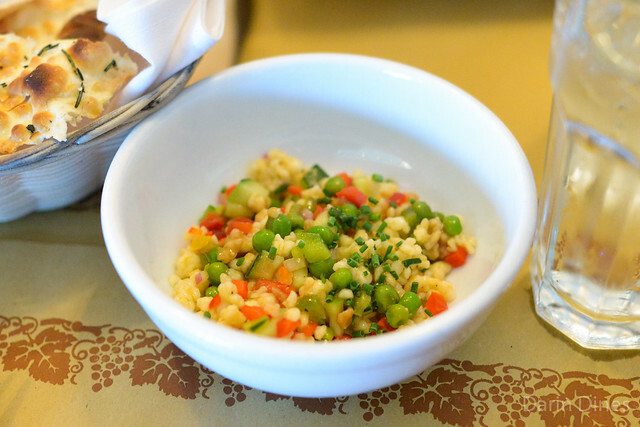 The meal began with a light couscous salad and cracker-thin flatbread. Knowing this meal would be laden with savory carbs, I tried to take it easy on these. 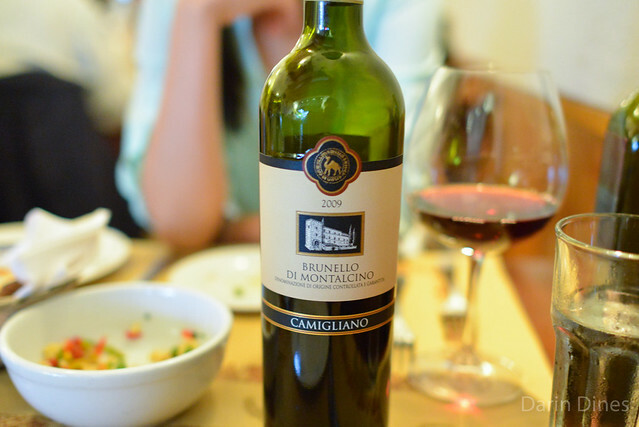 To accompany the meal, the server recommended a medium-bodied red from Tuscany. Tripe was tender with a full flavored tomato sauce. Cuttlefish was pretty tasty too with a nice texture. I first had a variation of this dish when Angelini cooked at a collaborative dinner at Melisse. It was phenomenal then so I had to get this again. 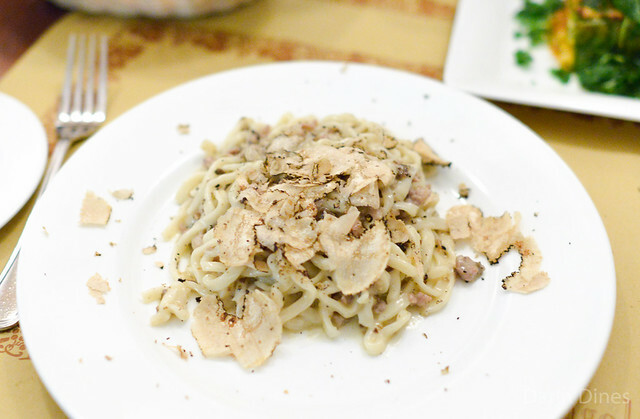 The flavors were just as a remembered with plenty of sausage and earthy truffle flavors in a slightly creamy sauce. The pasta, however, was on the soft side which really took away from otherwise great flavors. 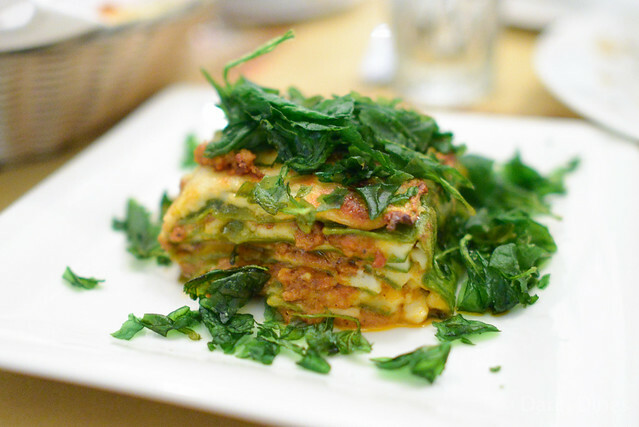 I loved this lasagna. 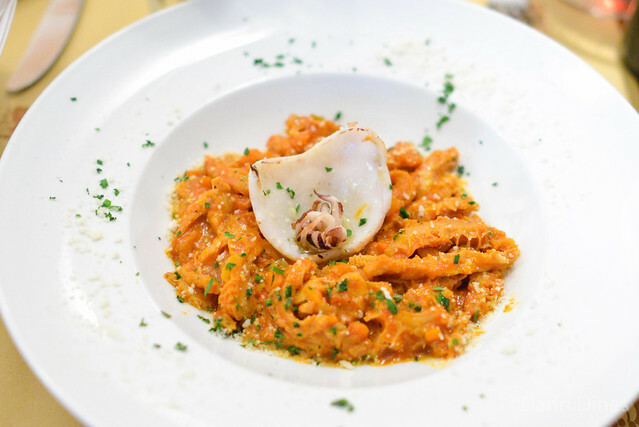 It had plenty of savory depth from the veal and pork bolognese and bechamel with soft layers of pasta and cheese. So good. 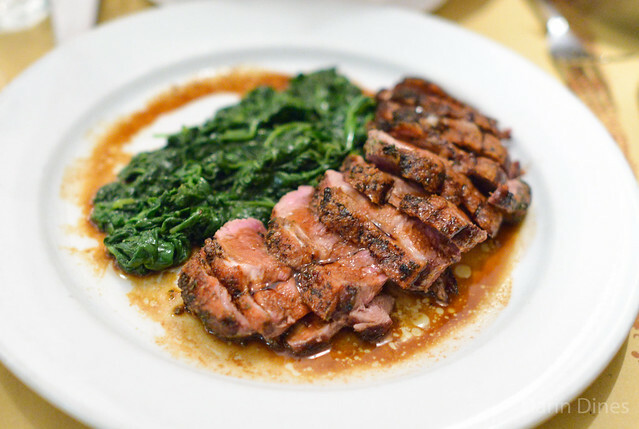 A generous portion of duck was cooked rare; it was very tender with a crispy skin. There was good flavor, heightened by the balsamic reduction, while sauteed spinach provided a lighter bite. 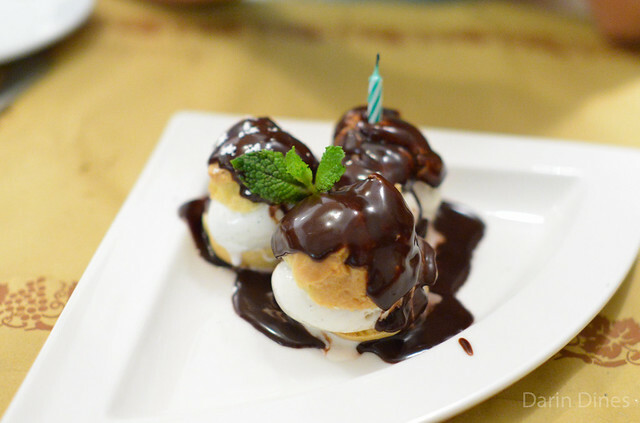 We ended the meal was a simple dish of profiteroles. The choux pastry was on the denser side but these still satisfied. 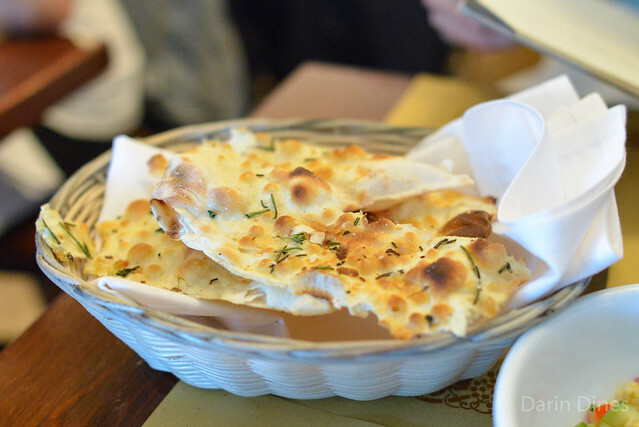 This was another good meal at Angelini Osteria. While I thought the soft spaghetti was a bit of a disappointment, the lone entree (duck breast) was better than any of the entrees on my first visit. I’m not sure it’s going to take another 3.5 years, but I’m not really in a hurry to return. 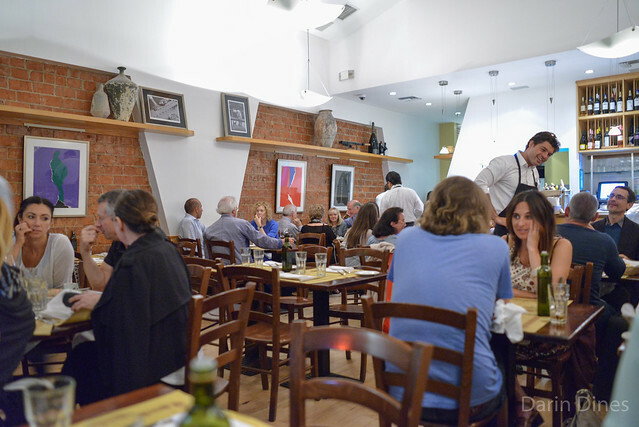 However, I can definitely see why Angelini continues to fill its tables almost 15 years later. We used to go to Angelini almost every Wednesday for lunch. Amazing on a regular basis. Living in Paradise for the last 6 yrs I can say that Valentino , Angelini , Pastina, and a couple others are missed…. Why didn’t you send the pasta back? Thought about it but didn’t want to make a big deal about it.